The ninth stop on the USA Cycling National Criterium Calendar took the United Healthcare of Georgia Presented By the 706 Project team to the Iron Hill Twilight Criterium in downtown West Chester, Pennsylvania. 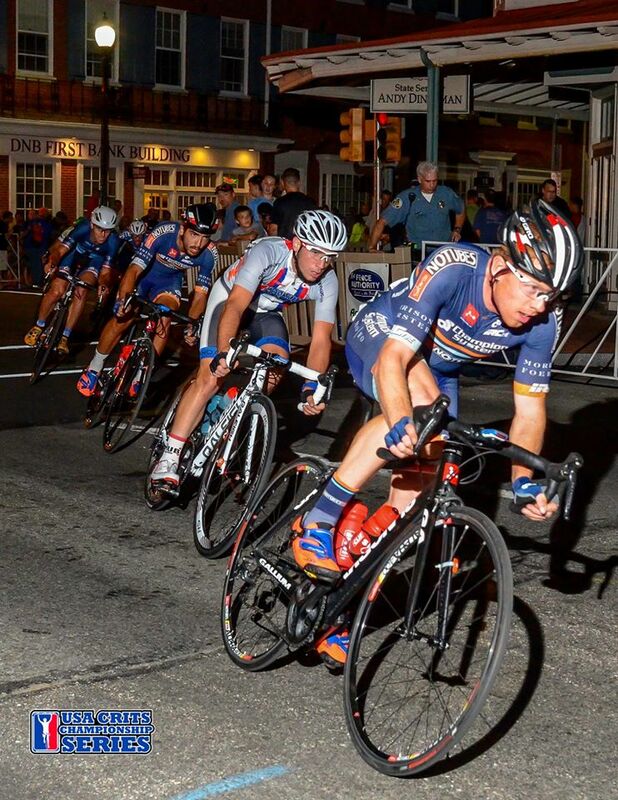 The Iron Hill Twilight takes place on a 0.6-mile course over eight city blocks on the streets of historic downtown West Chester, featuring four 90-degree turns and one short rise. David Cueli waiting to make his move. The race began with multiple attacks from various teams in hopes of establishing a breakaway, but nothing would stick. 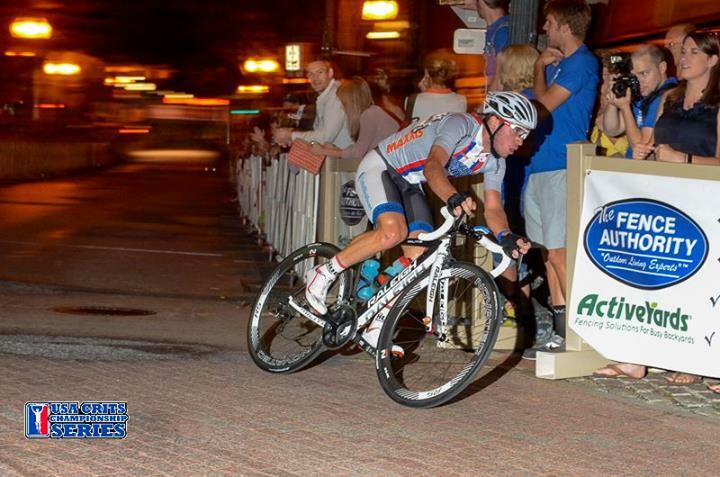 Our very own David Cueli attacked in the field to established a 10-second solo lead for eight laps in which he picked up money and points primes toward the USA Crits Championship Series standings. He currently sits second overall, trailing teammate Frank Travieso, but also holds the lead in the U25 classification as well as Lap Leader standing. After that, five riders joined David Cueli. Together, they worked incredibly well and lapped the field halfway through the race. Only the guys in this breakaway contested the win as they were up a lap, but other racers still kept attacking in hopes of lapping the field as well. A three-man break did exactly that—lapping the field with about 10 laps to go in the race making it nine guys to contest the win. With about five laps to go, Frank Travieso used his experience and great amount of power to guide David Cueli through the pack and lead David to a podium spot taking third in the race. With two more races in the USA Crits Championship Series, David Cueli and Frank Travieso sit first and second respectively. David Cueli also leads the U25 and Lap Leader standings. The United Healthcare of Georgia Presented By the 706 Project team is also in the lead of the Team Classification.